WPN has begun rolling out its much-anticipated cashier that will now accept more than 60 different types of cryptocurrencies. The Winning Poker Network, which houses some of the most popular USA-facing poker sites in the industry today, has begun rolling out an updated cashier system that will not just accept Bitcoin as its only crypto option for its customers. In fact, WPN will now allow its customers to use well over SIXTY different types of cryptocurrencies to fund their player accounts! When you login to your account, you will now notice a plethora of crypto options that can be used to deposit, as well as existing methods that have always been available, such as Visa/Mastercard. While it may not be big news to the more “traditional” player that may only use a credit card or money transfer to fund their bankrolls, the announcement is huge for those already using crypto as a primary banking method in today’s ever-evolving financial world. Bitcoin has changed the way we use currency and it has fast-become one of the most secure methods to move money around the globe. 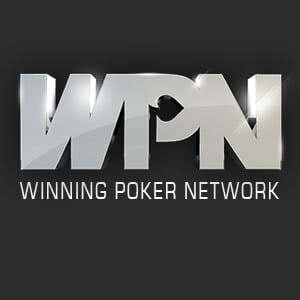 The news was originally announced several weeks ago on a few iGaming media outlets, but a lot of the poker sites on WPN didn’t start formally announcing to its players via email until the recently. When Americas Cardroom made history by becoming one of the first WPN poker websites to start accepting Bitcoin over 3 years ago, it had no idea what kind of ripple effect it would have on the rest of the iGaming business. Soon thereafter, already booming poker sites like Ignition, Bodog, BetOnline and SBPoker would fall into line and also start accepting crypto. More and more mainstream sites opened the flood gates for not just poker, but also sportsbook and numerous online casino operations. Now, cryptocurrency is one of the most trusted ways to both deposit and withdraw funds at many of your favorite online gambling destinations. Which Cryptocurrency Options Will Be Available to WPN Players? To be clear, not many people will be exhausting all of their options on using the many dozens of now-available cryptocurrency methods at WPN-friendly sites. For those who do decide to diversify which types of crypto they choose to load their bankrolls with, many of the top sites on WPN will be welcoming these types of deposits with open arms, as WPN rooms like America’s Cardroom and Black Chip Poker will all be accepting alt-coin transactions right away. It is amazing that the people running the Winning Poker Network have started to evolve this particular part of their business, despite knowing it could be a risky venture given the volatility of alt-coins in general. However, they’ve done a great job of listening to the players and moving forward with such a progressive stance on crypto in the iGaming space.